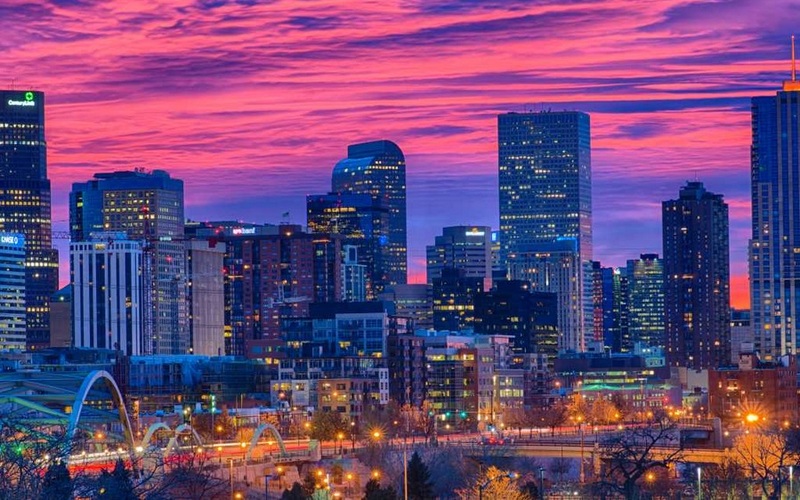 The AAVMC Summer Meeting will be held on Saturday, July 14 from 8 a.m. – noon at the Hyatt Regency Denver in Denver, Colorado. Programs scheduled for the meeting include an update on accreditation and the Council on Accreditation by AAVMC Senior Accreditation Advisor Dr. Sheila Allen and a presentation on advocating for the benefit of veterinary licensure by AAVMC President Dr. Calvin Johnson. 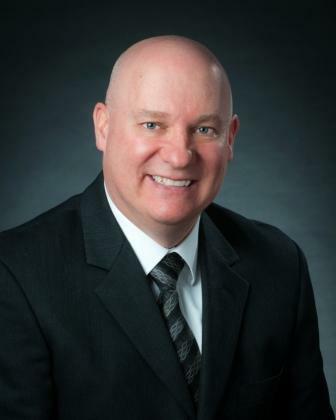 Dr. Greg Keefe, dean of the Atlantic Veterinary College at the University of Prince Edward Island, has been appointed to serve on the AAVMC Board of Directors as the Region II (Canada) representative. He fills a position vacated by Dr. Michel Carrier when he left his position as dean of the Faculty of Veterinary Medicine at the University of Montreal. Dr. Keefe has been a faculty member at AVC’s department of Health Management for more than 20 years. He earned his Doctor of Veterinary Medicine and Master of Business Administration degrees from the University of Guelph, and his Master of Science degree from UPEI. A Professor of Dairy Production Medicine, he is one of AVC’s foremost researchers, educators, and professional service providers. He has received numerous teaching and research awards, including the Norden Distinguished Teaching Award and the Canadian Veterinary Medical Association Award for Advancement of Large Animal Medicine in Canada. Dr. Keefe is a respected mentor to veterinary and graduate students. In partnership with his graduate students and collaborators, he has published 120 manuscripts in peer-reviewed journals and an equivalent number of conference proceedings. He is the founder and director of Maritime Quality Milk, a program for milk quality and disease surveillance research, and leads numerous regional and national research projects. Dr. Keefe was named Innovation PEI Research Chair in Milk-based Diagnostics and Information Technology Applications by the Province of Prince Edward Island, a role he relinquished when he became Dean. As Dean of AVC, Dr. Keefe is leading a management team focused on the strategic renewal of the College’s teaching, research, and service programs. 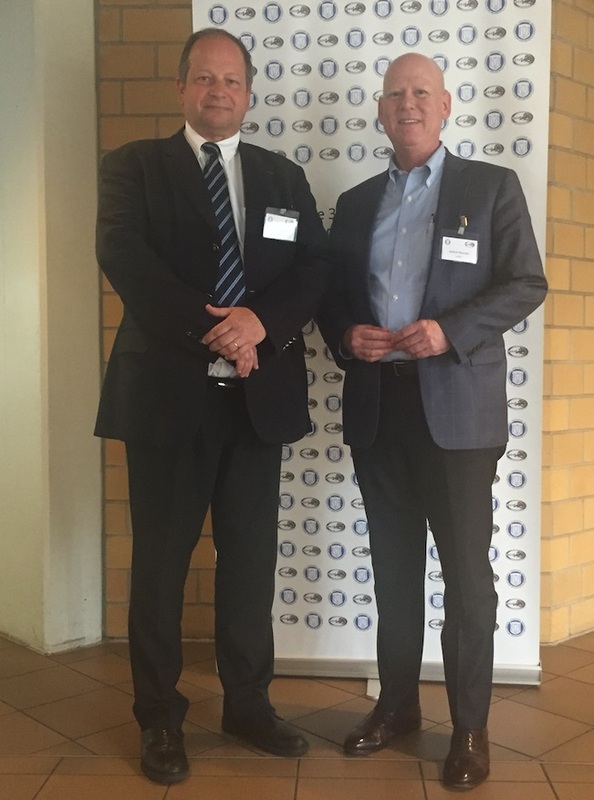 Dr. Stephan Martinot, former dean of AAVMC member institution VetAgro Sup (Lyon) was elected president of the European Association of Establishments for Veterinary Education (EAEVE) during their recent General Assembly in Hanover, Germany. The origins of VetAgro Sup trace back to the founding of the world’s first veterinary school in Lyon, France in 1761. The AAVMC maintains a relationship with EAEVE, and AAVMC CEO Dr. Andrew T. Maccabe participated in their annual meeting. Based in Vienna, Austria, EAEVE was founded in 1988 and serves as the official accreditation authority for veterinary educational establishments in Europe. Similar in scope and function to the Council on Education, EAEVE assures that accredited veterinary medical educational institutions in the European Union meet established standards of performance. EAEVE accomplishes this by monitoring the harmonization of the minimum standards set down in the study programme for veterinary surgeons in European Union Directive 2005/36. This is enacted through the European System of Evaluation of Veterinary Training, which is jointly managed by the EAEVE and the Federation of Veterinarians of Europe (FVE). Other objectives of EAEVE are to promote collaboration among member institutions and serve as a forum for discussions that improve veterinary education. Members include the faculties, schools and universities involved in teaching and research in veterinary medicine and science. As of 2017, of the 110 veterinary educational establishments existing in Europe, 96 are members of the EAEVE. EAVE is a member of the European Association for Quality Assurance in Higher Education (EAQA). The 2019 General Assembly is scheduled for Zagreb, Croatia May 30-31, 2019. Leslie Wilson, CGMP has joined the AAVMC staff as Project Manager. She is a seasoned meeting planner with over 10 years of experience planning and coordinating event logistics, developing and managing budgets and building and maintaining relationships with vendors and facilities. Before joining the AAVMC, she served as a contracted Strategic Event Planner with the Office for Victims of Crime (OVC) within the U.S. Department of Justice. Prior to that position, she worked at the Embassy of Canada for five-and-a-half years as the Relocation and Visits Coordinator, where she managed and coordinated visits to the D.C. area by Canadian diplomats, members of the Office of the Prime Minister, and other dignitaries. She also oversaw the clearance process for Canadian aircraft and weapons entering the United States. Before that, Ms. Wilson provided public relations support for the Washington Capitals and the Washington Nationals sports teams. She also conducted an internship in former Washington, D.C. Mayor Anthony Williams’ Office. Leslie holds a B.A. in Communications from Bowie State University, where she served as editor of her college newspaper. She also holds the CGMP credential (Certified Government Meeting Professional), which is granted by the Society of Government Meeting Professionals’ Gilmer Institute of Learning. She is a D.C. native and lives in Maryland with her husband and two dogs, a Jack Russel/Beagle mix named Raki and a three-pound Pomeranian named Bruiser. Leslie has replaced Andrew Zoeller, and will assume responsibilities for meeting planning, special event management and other administrative duties. At publication-time, it appears that H1-B visa-related residency and internship programs at participating AAVMC member institutions remain confounded, despite concerted and ongoing AAVMC efforts to provide the federal government with the prevailing wage data required to support the programs. 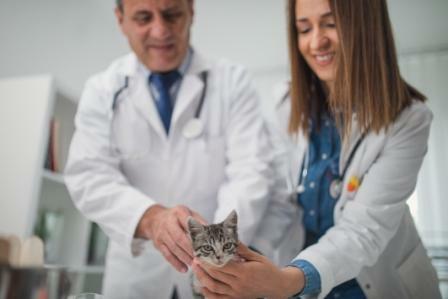 For the past several years, the AAVMC has compiled and shared salary and wage data related to veterinary medical residency and internship positions with the Department of Labor. The approval process has been complicated by evolving changes in DOL specifications, but the AAVMC has complied as requested. The Association of American Medical Colleges (AAMC) has encountered similar challenges. Many of the training programs were set to commence on July 1, which has presented hardships for both candidates and sponsoring institutions. •	Talented professionals are being denied the opportunity to train at leading institutions. • Academic medical centers have encountered last-minute staffing and operational challenges. •	Fewer institutions will be willing and able to offer the programs because of these difficulties. •	Ultimately, diminished training opportunities will negatively affect the quality of global healthcare. The AAVMC is continuing to work with the federal government on behalf of member institutions. A conference call has been arranged with Department of Homeland Security (DHS) personnel to discuss the problem on July 11, according to AAVMC Governmental Affairs Director Kevin Cain. 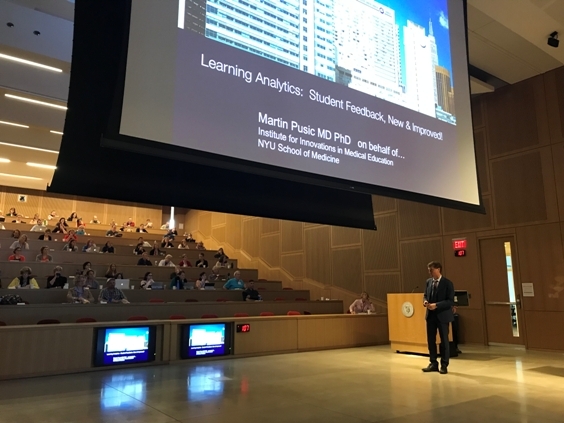 More than 260 veterinary medical educators gathered at Cornell University in June for the first-ever joint symposium presented by the AAVMC’s Primary Care Veterinary Educators (PCVE) and the Veterinary Educator Collaborative (VEC). Forty-four of the AAVMC's 49 member CVMs from around the world were represented in Ithaca. The symposium, themed “Laying the Building Blocks for a Lifetime of Clinical Excellence,” focused on how to help students develop the knowledge, skills and attitudes that will allow a smooth transition from their role as pre-clinical and clinical students to that of practitioner. The symposium was the first of its kind to bring the VEC and PCVE together and offered a series of presentations and networking opportunities designed to help veterinary medical educators generate new ideas and develop more effective educational strategies. Organization and program development were led by Cornell University’s Kathy Edmondson, Brian Collins, and Meg Thompson. Topics encompassed curriculum, faculty development, assessing student learning, the development of professional skills, and learning in the digital age, with sessions that ranged from "Problem Solving" to "Day One Surgical Skills: Immersive Opportunities Using Synthetic Models" and "Competency Based Veterinary Education." Joseph J. Rencic, MD, associate professor and associate program director of the internal medicine residency program at the Tufts University School of Medicine, presented a keynote address on "Assessing Diagnostic Reasoning," and Martin A. Pusic, MD, associate professor and director of the Division of Learning Analytics at NYU Langone Health presented a keynote on "Learning Analytics: Student Feedback, New and Improved." The PCVE and the VEC are both component organizations of the AAVMC that operate under the auspices of the Academic Affairs Committee. The VEC provides online and face-to-face collaboration and sharing between veterinary medical educators. PCVE’s mission is to enhance primary care programs at colleges of veterinary medicine, develop exceptional primary care educators, prepare career-ready veterinarians, and create opportunities for collaboration between primary care veterinary educators and the profession. Boehringer Ingelheim, Hills' Pet Nutrition and IDEXX Laboratories sponsored the PCVE programming and participation, with additional support from Cornell and the AAVMC. 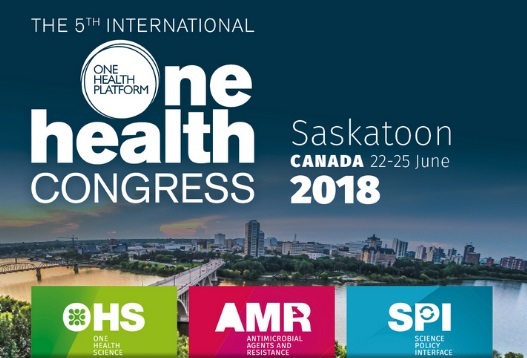 Hundreds of One Health leaders and advocates from around the world gathered in Saskatoon, Saskatchewan for the 5th International One Health Congress June 22-25. Experts shared presentations during 28 different sessions focused on recent advances in pathogen discovery, diagnostics, drivers for emerging infections, vaccinology, ecology, food and water safety, related political and social science and other areas. A major program track on antimicrobial resistance was presented, as was a track on the Science Policy Interface (SPI) designed to encourage interaction between the scientific and policy-making communities. The meeting also included a University Lounge where academic institutions had an opportunity to showcase their One Health programs. Co-chairs of the Fifth Annual One Health Congress included Professors Ab Osterhaus and John Mackenzie of the One Health Platform, and Professor Karen Chad of the University of Saskatchewan. To examine a comprehensive program document, please click here. Leaders from the AVMA and AAVMC gathered in Schaumburg, Illinois, for the semi-annual Joint Committee Meeting on June 18. Following organizational updates from AAVMC President Dr. Calvin Johnson, AVMA President Dr. Michael Topper and AVMA Vice-President Dr. Stacy Pritt, the group tackled an agenda that included several important initiatives and issues facing the profession and academic veterinary medicine. The origins of meetings designed to foster collaboration and synergy between the AVMA and the AAVMC trace back to the founding years of the association. In recent years, they have become more structured and formalized. Detailed discussions were held on the Wellbeing Initiative, the Veterinary Debt Initiative, the Veterinary Futures Commission, diversity and inclusion in the profession, leadership, advocacy, accreditation, economic studies, recruitment and other areas. AAVMC officials and member institution scientists recently spent a day meeting with National Institutes of Health (NIH) officials to discuss the CTSA One Health Alliance. The purpose of the meetings was to share some of the work that AAVMC member institutions participating in the CTSA One Health Alliance (COHA) are doing in partnership with co-located medical schools to advance human health. Discussions focused on progress, activities and capacities, and the group also explored opportunities for increased NIH collaboration. AAVMC representatives included Tufts University Interim Provost Dr. Deborah Kochevar, Colorado State University College of Veterinary Medicine and Biomedical Sciences Associate Dean for Research Dr. Sue VandeWoude, North Carolina State University College of Veterinary Medicine Associate Dean for Research and Graduate Studies Dr. Kathryn Meurs, and AAVMC Senior Director for Academic Affairs and Research Dr. Ted Mashima. Erika Miller and Zara Day from CRD Associates also participated. Throughout the day, the AAVMC group held different meetings on the NIH main campus and offsite with scientists representing five NIH Centers and Institutes. Those included the National Heart, Lung and Blood Institute (NHLBI), the National Institute for Allergy and Infectious Diseases (NIAID), National Center for Advancing Translational Sciences (NCATS), National Cancer Institute (NCI), and the National Institute of Child Health and Human Development (NICHD). COHA comprises veterinary schools partnered with medical and other colleagues through a National Institutes of Health Clinical Translational Science Award (CTSA). COHA’s mission is to advance understanding of diseases shared by humans and animals. To see a list of AAVMC member institutions participating in COHA, please click here. About 1,400 advisors who play a big role in recruiting students for careers in the health professions, as well as 500 students, converged on Washington D.C. June 27-July 1 for the national meeting of the National Association of Advisors for the Health Professions. For AAVMC Director of Admissions and Recruitment Tony Wynne, it was more than an opportunity to interact with colleagues and hear from leading experts in the field. 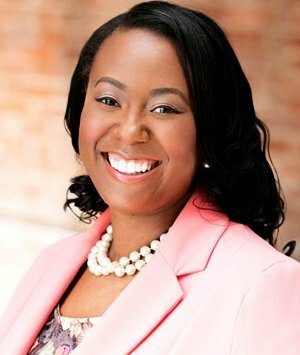 As chair of the 18-member NAAHP Advisory Council, Wynne has a special interest in making sure the association helps its members do the best job they can in recruiting new generations of prospective doctors, veterinarians, dentists, nurses, physicians’ assistants and other health professionals. Each of 18 different health professions are represented on the council. “The Advisory Council (AC) is an integral part of ensuring that communication flows between the NAAHP leadership, its members and the component professional associations,” said Wynne. “Although I’m only six months into a three-year term, having veterinary medical education in a leadership position with the advisory council has increased our visibility among the other health professions and more importantly given pre-vet and pre-health advisors renewed understanding of advising pre-veterinary students. The keynote presentation featured remarks from Drs. Teresa Tyson and Paula Hill, two family nurse practitioners who run a clinical practice called “The Health Wagon” that cares for uninsured patients in Appalachia. The meeting also included remarks from former Acting Surgeon General and current Dean of the School of Public Health at the University of Maryland Dr. Boris D. Lushniak, as well as many others who were featured in dozens of program tracks and presentations. Sessions focused on the many different dimensions of effective advising, including the admissions process, counseling and coaching, application development, interviewing, institutional selection, diversity and inclusion, financial aid and planning, mentoring, interprofessional collaboration, building resilience, and other areas. Established in 1974, NAAHP includes about 1850 members. The organization provides professional development and support for their members and works to advance high standards for health professions advising at universities and colleges. Veterinary medicine’s role in agricultural productivity and food safety was showcased on Capitol Hill during an Agricultural Research Congressional Exhibition & Reception in the Rayburn House Office Building on June 6. An exhibit staffed by Auburn University Associate Dean for Academic Affairs Dr. Dan Givens and sponsored by the AAVMC helped educate participants about the critical role veterinary medicine plays in food production and security. Givens’ exhibit focused on recruiting and supporting veterinarians to practice in underserved rural areas and shore up agricultural infrastructure. Veterinary medicine will be well represented in the program track when more than 1500 public health professionals around the world gather for the 10th presentation of the Center for Disease Control’s 2018 International Conference for Emerging Infectious Diseases August 26-29 Atlanta. The meeting is considered one of the premier infectious disease conferences in the world and includes more than 30 national and international partners, including the AAVMC, the AVMA, the World Health Organization, (WHO), the Food & Agriculture Organization of the United Nations (FAO), the U.S. Departments of Defense, Agriculture and Health & Human Services and many others. Dr. Francois Elvinger, professor, executive director of the Animal Health Diagnostic Center & associate dean for Diagnostic Operations and Government Relations at the Cornell University College of Veterinary Medicine; and Dr. Karen Ehnert, who leads the veterinary medicine department at the Los Angeles County Health Department; helped lead program efforts to ensure that veterinary medicine and One Health are well represented among the 200 presentations and 40 session tracks. Elvinger is a former head of the AAVMC’s One Health Committee, and Ehnert represents the AVMA. Begun in 1998, the CDC organizes the conference every two or three years to encourage the exchange of the latest information on issues affecting the emergence, spread, and control of infectious diseases. The program includes plenary and panel sessions with invited speakers, oral abstract and poster presentations, and multiple scientific and public health exhibitors—all focusing on emerging and re-emerging infections. Major topics for ICEID 2018 include surveillance and outbreak response, laboratory diagnostics and systems, factors affecting disease emergence and control, and public health preparedness. Specific subjects focus on issues such as antimicrobial resistance, genomic and molecular epidemiology, foodborne and waterborne illnesses, vector-borne and zoonotic diseases, healthcare-associated infections, respiratory infections, and global health. Dr. Srinand Sreevatsan, chair of Pathobiology & Diagnostic Investigation at the Michigan State University College of Veterinary Medicine, is serving as interim dean. Dr. Birgit Puschner, currently at UC-Davis, will begin serving as dean, effective Oct. 1, 2018.